I know! I know! “How We Know Satellites Exist” sounds like a pointless title, but believe it or not, there’s a growing number of vocal flat earthers on the internet. One of their arguments is that outer space and satellites don’t exist. They believe we live on a flat plane under a dome. No! Seriously! They actually believe that! 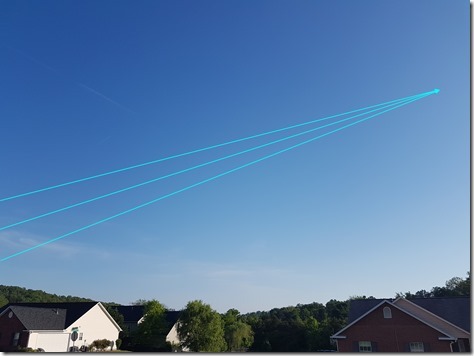 When you ask them how can that be if we have satellite TV and satellite dishes on our homes, that work and ONLY when pointed at a specific place in a clear sky, they give easily disproven responses. 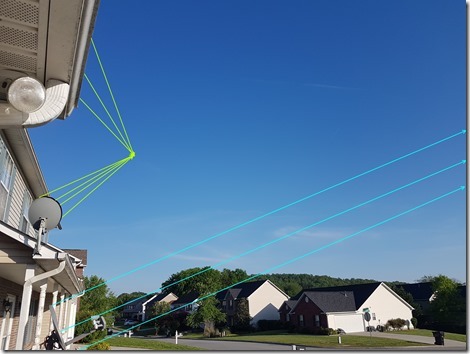 I’ll list those here with the obvious explanations of why those are false, and I’ll show some images of satellite dishes in my own neighborhood, where they’re pointed, and some online tools so you can see where to point your own dishes. Dishes are pointed pretty high and you’d definitely see a transmission tower. It would have to be very near by, very large, and impossible to not see. Towers would be extremely local objects. Dishes north of them would point south. Dishes south of them would point north. There are NO dishes in the northern hemisphere that point NORTH to geosynchronous satellites. Exact same response as the towers answer. Weather balloons cannot stay in one place. They move with the wind. There’s no way a stationary dish could stay pointed to any. There’s also the obvious pointing problem as with the towers. If you’re south of one, you’d have to point your dish north and NO dishes in the northern hemisphere are pointed north that are pointing to geosynchronous satellites. Please cannot stay still. Also, you have the same pointing issue as all of the above. ALL DISHES in the northern hemisphere that point to geosynchronous satellites point south. ALL OF THEM! I’ve drawn lines to roughly (very roughly) where they’re pointing. I’m pretty much just eye-balling it. Note that the houses on the left are north-east of the road. The road runs from NW to SE. The top picture is facing south-east. All these dishes point in a generally southerly direction. Below is a 3D rendering of my and my neighor’s house. 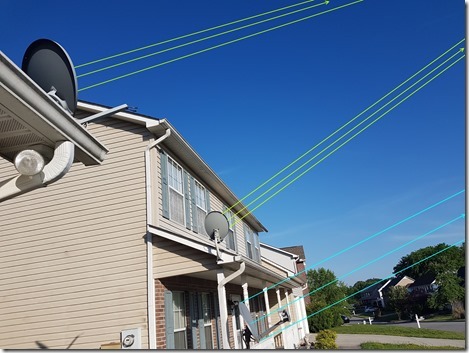 The satellite dishes from the photos above are pictured below with their general directions drawn, by me, from my rough eye-balling of where they appear to be pointing. Below is an online tool to help you determine how to point your own dish. 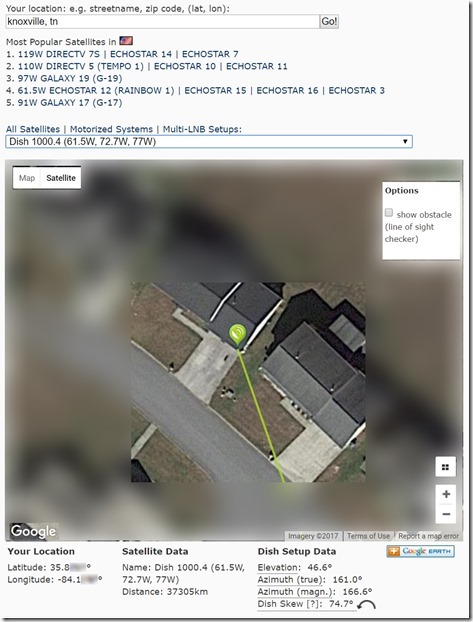 You enter your address, and it will show you a Google map and a pointer you can move to where your dish it. You select the satellite you want to point you, and it will draw a line showing where to point your dish. I chose the Dish Network satellite and it drew a line from the point where I showed it my own dish was. As you can see, it calculates where to point my dish and that my dish is, in fact, pointing in that direction. Remember, the image above is my rough guestimate from looking at the dishes from my driveway. I used no instruments to test the EXACT directions. Below is the exact direction it should be pointing, and certainly is. http://www.dishpointer.com/ is the site where you can try it out yourself. I do, indeed pick up a signal when pointed this way and I do indeed lose the signal when I move the dish just a little bit. You can zoom out of this view with their tool and move the point anywhere on the map. It will always point south if you’re in the northern hemisphere. Feel free to independently verify this yourself. Visit friends and family anywhere that have a satellite dish. Go to business with dishes. You’ll see they’re ALL pointing towards to south if you’re in the northern hemisphere. While there, use the http://www.dishpointer.com/ tool to confirm the dish alignment. The ONLY possible explanation for this is that satellites do, in fact, exist. Did the Astronauts Take Their Helmets Off On The Moon? The moon landing was a hoax. Here’s photographic proof showing the astronauts with their helmets off on the moon. Obviously, anyone that knows anything about astronomy, or even casually looks up at the night sky through the seasons knows this is just batshit crazy. Here’s a simple video of a star map showing the changing positions of the stars at the exact same time of night, over months. Anyone can independently verify this by going out at night at the same time, every night, and making note of certain stars near the horizon. Night after night, at the same time, they’re in a different position. If you’ve ever visited a NASA post on Google+, you’ll find that they draw the flat earthers out of their parents’ basements to post barely legible (on a good day) claims that everything NASA does is fake, that outer space doesn’t exist, that the world is flat, the sun is only a few thousand miles away, as well as the moon, satellites don’t exist, gravity doesn’t exist (no, really, they actually claim that), and a whole slew of grandiose, more expensive than God to pull off conspiracy theories. If you’ve ever engaged with them, you’ll find some of them are incapable of intelligible thought or writing and are clearly psychologically damaged, but the ones that can write in mostly complete sentences will argue with you. We’ll, they won’t really argue the point to support their claim. They’ll just insult you, your intelligence, your upbringing, pretend like they’re amazed you actually believe the world is round, as if everyone else believes it’s flat, will have emotional tirades against you, tell you you’re indoctrinated, and blast you with pointless pictures and question, but they will almost never directly answer your questions. They’ll try to overload you with ridiculous claims… so many, that it will be impossible for you to respond to them all. 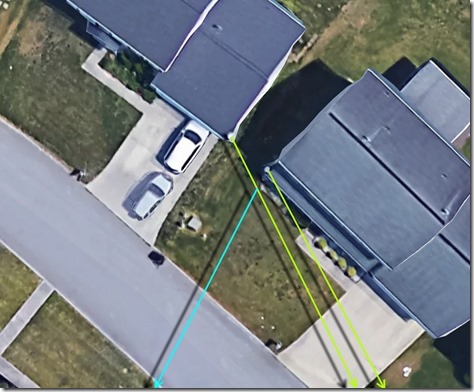 Why, when I point my satellite dish to where a geostationary satellite is supposed to be, I get a signal, and when I point it away, I lose the signal? Keep in mind, this is pointed to a clear, unobstructed sky, with no mountains or towers in the way. Towers. The dish isn’t pointed at any. It it were, all nearby dishes would have to point to it instead of the sky. Dishes south of it would point north. But all dishes in the northern hemisphere point southward. Balloons. Balloons can’t stay stationary. They move with the wind. Also, same positional problem with towers. Dishes would be pointed all over the place. They’re not. Planes. Same with balloons. They can’t stay stationary. Also, the pointing problem. Offer an explanation that explains why dishes work like that if satellites don’t exist. Inundate them with this question. Some will actually go away. The others will instead make themselves look even more ridiculous. But WHY engage with them? Good question! There’s little to no chance these flat earthers are even going to accept facts and reason. But, they are actively recruiting new imbeciles to their cause. By flushing out these kooks on public forums and exposing their idiocy, the few that might fall into their wacko way of thinking will be steered away, and that’s a win for everyone. Plus, it’s highly entertaining to see how these people try to explain the logical contradictions of their flat world view. Does NASA fake Photos of Earth? The earth is flat. Everything NASA does is fake. It’s a great big, decades long, world-wide conspiracy. This photo proves it! See all the copied and pasted clouds? This image isn’t even presented by NASA as real. It’s from the iPhone’s wallpaper art collection. All it proves is that the guy that made it is very talented. Here’s a full story on how the artist created the image and why clouds are replicated. Why can I see buildings far beyond the horizon If the Earth is Round? The earth is flat. The fact that I can see buildings far beyond the horizon where they should be BELOW it is proof. While it’s true that in some atmospheric conditions, light will bend near the ground and curve down and around the horizon to reveal buildings and landmarks much further than you’d be able to see had there been no unusual weather conditions or no atmosphere at all, it is NOT true that the world is flat, nor is this evidence for a flat earth. 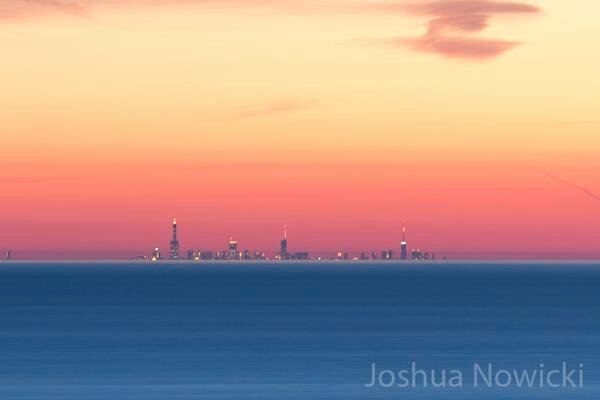 A frequent example presented by flat earthers is a photo of the Chicago city skyline from Michigan, 60 miles away. On most days, the entire Chicago skyline is below the horizon. But when the air near the surface of the water is cooler than the air above, then light bends in a way to produce a “superior mirage”, allowing you to see images of objects below the horizon. This is a temporary effect. It’s important to note that even in this image, frequently passed around by flat earthers, that only the top of the skyline is visible. It appears as though the city is mostly under water. That’s because, even though we’re seeing further than we normally can, the curvature of the earth is still present, even in this image, obstructing the lower parts of the city. Additionally, notice the distortions of the stretched out appearance of the top of the Sears Tower. Click on the thumbnail below to see an animated GIF showing how even this photo proves the world is round. Is Antarctica a No-Fly Zone? MANY flights have flown over Antarctica and ships can go anytime they want. Antarctica is the coldest place on earth with virtually zero human population on it. There’s just no good reason to fly there unless you’re doing scientific research or extreme outdooring. The waters are obviously dangerous due to all the ice and many ships have been lost. Runways are ice covered year round and there’s virtually no infrastructure there to handle plane maintenance. Straight lines for flights between the tips of South America, South Africa, and Australia barely cross the edge of Antarctica and there are reasons to avoid flying over it, due to the extreme weather. But, that doesn’t mean no one goes and it doesn’t mean you can’t either. Croydon travel is one of several companies that offer tours to and near Antarctica. Here’s the preamble to the Antarctic Treaty. In fact, in this PDF, linked from the official preamble, it provides guidelines on how to help protect the wildlife there should you choose to fly there. Is a travel guide for going there, should you choose to go. The 12 nations listed in the preamble (below) signed the Antarctic Treaty on 1 December 1959 at Washington, D.C. The Treaty entered into force on 23 June 1961; the 12 signatories became the original 12 consultative nations. As of April 2010, 17 additional nations (Brazil, Bulgaria, China, Czech Republic, Ecuador, Finland, Germany, India, Italy, Netherlands, Peru, Poland, Republic of Korea, Spain, Sweden, Ukraine, and Uruguay) have achieved consultative status by acceding to the Treaty and by conducting substantial scientific research in Antarctica. Russia carries forward the signatory privileges and responsibilities established by the former Soviet Union. Another 21 nations have acceded to the Antarctic Treaty: Austria, Belarus, Canada, Colombia, Cuba, Democratic Peoples Republic of Korea, Denmark, Estonia, Greece, Guatemala, Hungary, Malaysia, Monaco, Pakistan, Papua New Guinea, Portugal, Romania, Slovak Republic, Switzerland, Turkey, and Venezuela. These nations agree to abide by the treaty and may attend consultative meetings as observers. The 50 Antarctic Treaty nations represent about two-thirds of the world’s human population. Consultative meetings have been held approximately every other year since the treaty entered into force, but since 1993 they have been held more frequently. Each meeting has generated recommendations regarding operation of the treaty that, when ratified by the participating governments, become binding on the parties to the treaty. Additional meetings within the Antarctic Treaty system have produced agreements on conservation of seals, conservation of living resources, and comprehensive environmental protection. For detailed information about the Treaty System, please visit the Antarctic Treaty Secretariat web site at http://www.ats.aq/. What follows is the complete text of the Antarctic Treaty. The headings for each article were added by the National Science Foundation and are unofficial. 2. The present Treaty shall not prevent the use of military personnel or equipment for scientific research or for any other peaceful purposes. Freedom of scientific investigation in Antarctica and cooperation toward that end, as applied during the International Geophysical Year, shall continue, subject to the provisions of the present Treaty. (c) scientific observations and results from Antarctica shall be exchanged and made freely available. 2. In implementing this Article, every encouragement shall be given to the establishment of cooperative working relations with those Specialized Agencies of the United Nations and other international organizations having a scientific or technical interest in Antarctica. (c) prejudicing the position of any Contracting Party as regards its recognition or nonrecognition of any other State’s right of or claim or basis of claim to territorial sovereignty in Antarctica. 2. No acts or activities taking place while the present Treaty is in force shall constitute a basis for asserting, supporting or denying a claim to territorial sovereignty in Antarctica. No new claim, or enlargement of an existing claim, to territorial sovereignty shall be asserted while the present Treaty is in force. 1. Any nuclear explosions in Antarctica and the disposal there of radioactive waste material shall be prohibited. 2. In the event of the conclusion of international agreements concerning the use of nuclear energy, including nuclear explosions and the disposal of radioactive waste material, to which all of the Contracting Parties whose representatives are entitled to participate in the meetings provided for under Article IX are parties, the rules established under such agreements shall apply in Antarctica. The provisions of the present Treaty shall apply to the area south of 60o South latitude, including all ice shelves, but nothing in the present Treaty shall prejudice or in any way affect the rights, or the exercise of the rights, of any State under international law with regard to the high seas within that area. 1. In order to promote the objectives and ensure the observation of the provisions of the present Treaty, each Contracting Party whose representatives are entitled to participate in the meetings referred to in Article IX of the Treaty shall have the right to designate observers to carry out any inspection provided for by the present Article. Observers shall be nationals of the Contracting Parties which designate them. The names of the observers shall be communicated to every other Contracting Party having the right to designate observers, and like notice shall be given of the termination of their appointment. 2. Each observer designated in accordance with the provisions of paragraph 1 of this Article shall have complete freedom of access at any time to any or all areas of Antarctica. 3. All areas of Antarctica, including all stations, installations and equipment within those areas, and all ships and aircraft at points of discharging or embarking cargoes or personnel in Antarctica, shall be open at all times to inspection by any observers designated in accordance with paragraph 1 of this Article. 4. Aerial observation may be carried out at any time over any or all areas of Antarctica by any of the Contracting Parties having the right to designate observers. (c) any military personnel or equipment intended to be introduced by it into Antarctica subject to the conditions prescribed in paragraph 2 of Article I of the present Treaty. 1. In order to facilitate the exercise of their functions under the present Treaty, and without prejudice to the respective positions of the Contracting Parties relating to jurisdiction over all other persons in Antarctica, observers designated under paragraph 1 of Article VII and scientific personnel exchanged under subparagraph 1(b) of Article III of the Treaty, and members of the staffs accompanying any such persons, shall be subject only to the jurisdiction of the Contracting Party of which they are nationals in respect to all acts or omissions occurring while they are in Antarctica for the purpose of exercising their functions. 2. Without prejudice to the provisions of paragraph 1 of this Article, and pending the adoption of measures in pursuance of subparagraph 1(e) of Article IX, the Contracting Parties concerned in any case of dispute with regard to the exercise of jurisdiction in Antarctica shall immediately consult together with a view to reaching a mutually acceptable solution. (f) preservation and conservation of living resources in Antarctica. 2. Each Contracting Party which has become a party to the present Treaty by accession under Article XIII shall be entitled to appoint representatives to participate in the meetings referred to in paragraph 1 of the present Article, during such time as the Contracting Party demonstrates its interest in Antarctica by conducting substantial scientific research activity there, such as the establishment of a scientific station or the dispatch of a scientific expedition. 3. Reports from the observers referred to in Article VII of the present Treaty shall be transmitted to the representatives of the Contracting Parties participating in the meetings referred to in paragraph 1 of the present Article. 4. The measures referred to in paragraph 1 of this Article shall become effective when approved by all the Contracting Parties whose representatives were entitled to participate in the meetings held to consider those measures. 5. Any or all of the rights established in the present Treaty may be exercised as from the date of entry into force of the Treaty whether or not any measures facilitating the exercise of such rights have been proposed, considered or approved as provided in this Article. 1. If any dispute arises between two or more of the Contracting Parties concerning the interpretation or application of the present Treaty, those Contracting Parties shall consult among themselves with a view to having the dispute resolved by negotiation, inquiry, mediation, conciliation, arbitration, judicial settlement or other peaceful means of their own choice. 2. Any dispute of this character not so resolved shall, with the consent, in each case, of all parties to the dispute, be referred to the International Court of Justice for settlement; but failure to reach agreement on reference to the International Court shall not absolve parties to the dispute from the responsibility of continuing to seek to resolve it by any of the various peaceful means referred to in paragraph 1 of this Article. 1. (a) The present Treaty may be modified or amended at any time by unanimous agreement of the Contracting Parties whose representatives are entitled to participate in the meetings provided for under Article IX. Any such modification or amendment shall enter into force when the depositary Government has received notice from all such Contracting Parties that they have ratified it. (b) Such modification or amendment shall thereafter enter into force as to any other Contracting Party when notice of ratification by it has been received by the depositary Government. Any such Contracting Party from which no notice of ratification is received within a period of two years from the date of entry into force of the modification or amendment in accordance with the provisions of subparagraph 1(a) of this Article shall be deemed to have withdrawn from the present Treaty on the date of the expiration of such period. 2. (a) If after the expiration of thirty years from the date of entry into force of the present Treaty, any of the Contracting Parties whose representatives are entitled to participate in the meetings provided for under Article IX so requests by a communication addressed to the depositary Government, a Conference of all the Contracting Parties shall be held as soon as practicable to review the operation of the Treaty. (b) Any modification or amendment to the present Treaty which is approved at such a Conference by a majority of the Contracting Parties there represented, including a majority of those whose representatives are entitled to participate in the meetings provided for under Article IX, shall be communicated by the depositary Government to all the Contracting Parties immediately after the termination of the Conference and shall enter into force in accordance with the provisions of paragraph 1 of the present Article. (c) If any such modification or amendment has not entered into force in accordance with the provisions of subparagraph 1(a) of this Article within a period of two years after the date of its communication to all the Contracting Parties, any Contracting Party may at any time after the expiration of that period give notice to the depositary Government of its withdrawal from the present Treaty; and such withdrawal shall take effect two years after the receipt of the notice by the depositary Government. 1. The present Treaty shall be subject to ratification by the signatory States. It shall be open for accession by any State which is a Member of the United Nations, or by any other State which may be invited to accede to the Treaty with the consent of all the Contracting Parties whose representatives are entitled to participate in the meetings provided for under Article IX of the Treaty. 2. Ratification of or accession to the present Treaty shall be effected by each State in accordance with its constitutional processes. 3. Instruments of ratification and instruments of accession shall be deposited with the Government of the United States of America, hereby designated as the depositary Government. 4. The depositary Government shall inform all signatory and acceding States of the date of each deposit of an instrument of ratification or accession, and the date of entry into force of the Treaty and of any modification or amendment thereto. 5. Upon the deposit of instruments of ratification by all the signatory States, the present Treaty shall enter into force for those States and for States which have deposited instruments of accession. Thereafter the Treaty shall enter into force for any acceding State upon the deposit of its instrument of accession. 6. The present Treaty shall be registered by the depositary Government pursuant to Article 102 of the Charter of the United Nations. The present Treaty, done in the English, French, Russian, and Spanish languages, each version being equally authentic, shall be deposited in the archives of the Government of the United States of America, which shall transmit duly certified copies thereof to the Governments of the signatory and acceding States. In witness whereof, the undersigned Plenipotentiaries, duly authorized, have signed the present Treaty. Done at Washington the first day of December, one thousand nine hundred and fifty-nine. Facebook is *NOT* Decrypting Your Secure Messages! This appeared to originate on the InfoWars.com site. While that site has some interesting stuff and breaks some stories, it also over hypes much of it and posts an amazing amount of conspiracy theory stuff. Facebook DOES NOT DECRYPT the secret messages!!!. YOU DO! And then you voluntarily SEND IT to facebook. Now, that’s not to say that they don’t do other nefarious stuff, because they DO! But this is not one of them. The ONLY way Facebook can see the encrypted conversation is if someone in the conversation MAKES A CONSCIOUS CHOICE to send it to facebook. And that conversation is decrypted by that participant’s phone, NOT by facebook themselves. So, step back, take a breath, and brow beat facebook for their many other privacy violations that actually do exist. Disclaimer: If Facebook is decrypting messages, this InfoWars story’s first paragraph text refutes that, in spite of all the hype later. Ransomware is probably the worst kind of malware you can get infected with. After it gets into your system, it secretly encrypts all your disk drives in the background. Once it’s done, it notifies you that all your files are encrypted and locked and demands an exorbitant amount of money to be transferred to the thieves (usually via BitCoin) in order to receive the decryption key and sometimes they take your money and never give you the key. The longer you wait, the higher the ransom, until after about 3 days, they delete your key and your files are gone forever. Encrypting your hard drive. While it’s good practice to encrypt your hard drive, this does absolutely NOTHING to protect against Ransomware. It may protect you from external people snooping your data, but if ransomware gets installed on your machine, it has access to your drive while it’s unencrypted, and can then encrypt it with its own keys. Backups created using the same PC. Why would having a backup NOT work against ransomware? Because again, the ransomware can see and write to your backup drive if it’s accessible from your same PC and it will encrypt that too! My boot drive and my external drive are both encrypted (not really a help against Ransomware… just thought I’d mention that they’re encrypted). I have a second drive of equal capacity as my data drive and it’s hooked up to an older Linux laptop. On host, Windows PC, I created a user account named “Backup” (could be named anything) with read only access to my main data drive on my Windows PC. Running a scheduled backup program on the Linux laptop (Lucky-backup… a GUI for rsync), connecting to my Windows PC over the network with the Windows “Backup” user account. It backs up all of my Windows external data drive to the Linux, encrypted backup drive and runs a differential backup every night. Critically, the Windows PC has no direct access to the Linux backup drive. My Linux laptop boots off a Linux flash thumb drive and does NOTHING but backup. By using 2 different PC’s, the chances of BOTH of them being infected with ransomware at the same time is very small. 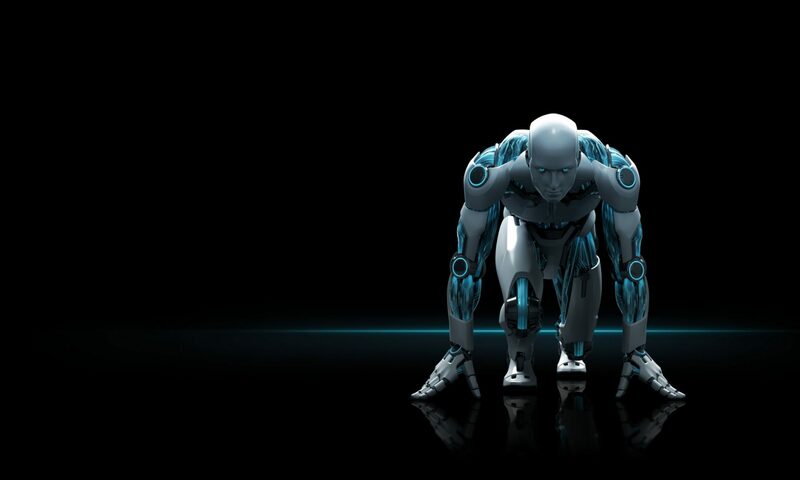 By using 2 different operating systems, the chances of both being infected at the same time is drastically reduced. While Linux is NOT virus free and is NOT ransomware free, it’s significantly more resilient and will NOT be infected by a Windows ransomware infection. If, by chance, the Linux machine gets infected with Ransomware, it has only read only access to my data drive on my Windows PC and will not be able to encrypt it. In either case, I have my full data on the other machine. What happens if my Windows machine gets Ransomware? I’ll reformat all of my Windows drives by booting off a clean flash thumb drive that has Windows installation media. Then I’ll have to manually re-install my software, which will be a pain, but I have access to all of it. Then I’ll need to restore my data to my data drive from my clean Linux backup. What happens if my Linux machine gets Ransomware? I’ll reformat all my Linux drives by booting off a clean flash thumb drive and then re-set up my backup system. My Windows machine at that time should be clean. Why doesn’t Encrypting my drives help me? Encrypting your drives DOES help protect you against adversaries trying to gain access to your data, but it does NOT help protect you against ransomware, which simply wants to DESTROY your data. The reason is because ransomware runs after you’ve booted into Windows and Windows has decrypted access to your encrypted drives. That means the ransomware has access to your encrypted drives too and can simply double-encrypt your data. That is also not a comprehensive list. The problem with Mega is that it’s closed source, so you can’t confirm that everything’s on the up and up. In fact, Kim Dot Com, the creator of Mega, was/is wanted by the United States government for hosting pirated material. That’s why he created Mega, so he’d have zero ability to decrypt the data, which was a great big middle finger to the U.S. government. He’s since left the company and now claims it can’t be trusted, but we don’t know if that’s just sour grapes from him, or if there’s a legitimate reason for him to say that. At any rate, it’s closed source, so there’s no way to confirm. Spider Oak is also closed source AND it costs money. It’s not a free service. But, there are plenty of free cloud drive services (listed above at the top of this article), but none of them support zero knowledge encryption. But, there’s now a fairly easy way to encrypt those. As of this writing, they only have a Linux, Windows, and Mac version, but they are actively working on Android and iOS versions. Once you install CryptoMator on your PC, you configure it to access each of your cloud drive services. At the time of this writing, Cryptomator supports 4 of the popular cloud drive services. But, it should work with any cloud drive as long as you have a synced folder on your PC to that cloud drive service. It doesn’t have to directly support your cloud drive service AS LONG AS your cloud drive software provides a local sync folder that other apps on your PC can access. Once installed, you add a “vault” to Cryptomator, create a password, and point CryptoMator to your local sync folder. It will then create a virtual drive (using an unused drive letter) and store some encrypted files in your local sync folder. Now, with your new drive letter, just put any files you want encrypted into there and NOT directly in your local sync folder. If you put anything directly in your local sync folder IT WILL NOT BE ENCRYPTED!!!! If you put files in your virtual drive that CrytpMator created for you and gave it a drive they, those files will appear as unencrypted to you as long as you have the “vault” unlocked with CryptoMator. The actual encrypted bytes of the files are stored in the local sync folder associated with your cloud drive service. If you open the sync folder, you’ll see meaningless file names and meaningless folder names with encrypted files in them. That’s the encrypted data. To have an unencrypted window into that encrypted data, simply open the new drive letter that CryptoMator created for you when you unlocked the vault with your password. Since the encrypted bits are stored in your sync folder, they get synchronized with your cloud server and it’s those encrypted bits that are stored on the cloud drive servers. Once you get that working, it’s a good idea to drag and drop all your previously existing NON ENCRYPTED files and folders from your local sync folder into your vault virtual drive. Once you’ve confirmed they’re in the vault, BACK UP YOUR FILES, then you can safely delete them from your sync folder, which will delete the unencrypted files from your remote cloud drive, leaving only the encrypted bits. Cryptomator will automatically encrypt them and store the encrypted bits back into your local sync folder, which your cloud drive software will then upload to your cloud drive service. Errors with large folders: I have about 64GB in my Microsoft One Drive. When I tried moving my camera roll folder into my Cryptomator virtual drive associated with OneDrive, it kept failing. I presume it wasn’t designed for folders with that many files or that many bytes. After many days of effort, I finally did get it working. I do not know if it was a OneDrive problem or a Cryptomator problem. I had no issues encrypting my Google Drive nor my DropBox, but neither of them had as much data. 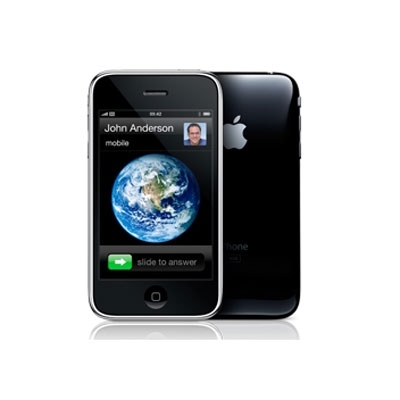 No Mobile (yet): Right now, there’s no mobile access to your encrypted data. They’re actively working on both Android and iOS apps, so that may change by the time you see this. No browser access: Since the web interfaces of these cloud services simply show you the files as they are on their services, after you encrypt your files and folders, when viewing them with a web browser on those services, you’ll only see the encrypted data. This makes sense because the cloud drive services are unaware of the encryption switch-aroo you’ve done. Don’t expect this to change. Your Key: With zero knowledge encryption, you keep your key locally, but Cryptomator stores your key ON your remote cloud drive. Don’t fret too much though. It’s encrypted with your password that you made when you created your vault. Technically, your password is your key. In my judgment, it’s fairly safe. Though, I wouldn’t be storing my archives of my classified State Department e-mail on any of these public cloud drives, even with Cryptomator. Meta data: The contents of your files are encrypted as well as the file and folder names, but the timestamps are NOT encrypted and neither are the number of files, the number of folders, nor the sizes of the files. The timestamps are left as is in order for your cloud drive software (OneDrive, Google Drive, DropBox, etc…) to know when things have changed so it can sync properly. The file sizes are a result of how many bytes you’re encrypting. The number of encrypted files will be roughly equal to the number of files as they were before they were encrypted (but the contents will be fully encrypted). This too is a side effect of how the syncing works. Mobile still unencrypted: You should probably turn off or uninstall the cloud drive software on your mobile devices because you won’t be able to see anything but encrypted data. Also, any files you have locally on your mobile device that you have set to sync will be uploaded UNENCRYPTED. Then you’ll have a mix of both encrypted and unencrypted files on your cloud drive. Remember, CryptoMator is actively working on Android and iOS apps. When they’re available, you can install those and follow Cryptomator’s recommendations on what to do with your cloud drive provider software.